Below is the most recent Texas Progressive Alliance round-up. 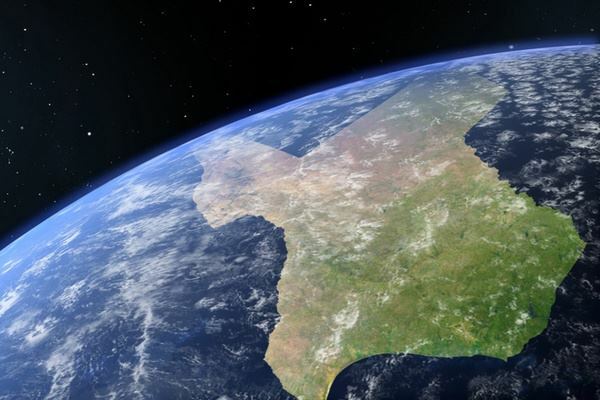 The TPA is a confederation of the best political bloggers in Texas. TPA members are citizen-bloggers working for a better Texas. As I say each time I post the round-up—Every Texan and every American has the ability to attend a public meeting, attend or organize a protest, write or call an elected official, talk to friends and family, start a blog, donate money, write a letter to the editor, volunteer for candidates and causes, engage in acts of civil disobedience, and to run for public office. We can also seek to impact society by consistently acting in a way that reflects our best values. Or by working on an artistic or creative effort that expands the range of thought and imagination we have in our society. I repeat these thoughts so often on the blog because there is nothing more important I can say. Off the Kuff looks at how the 2012 election results differed from 2008 in State Senate and SBOEdistricts. DosCentavos‘ Fidencio Leija reports on the work of HOPE in the End of Course testing debate. There is a troll hiding in plain sight on the United States Supreme Court, and PDiddie at Brains and Eggs says it’s going to take a lot of willpower not to feed it. Over at TexasKaos, Lightseeker reports on the charter school money grab, aided by the usual suspect. Check it out – Charter Schools Make Play for Huge Increase in Public Funding. CouldBeTrue of South Texas Chisme wants you to know that a couple of our Supreme Court Justices don’t appreciate racism. Lets hope that number rises to at least five for the Voting Rights Act. The problem for our state’s “leaders” is that they’ve been telling us for so long that we have a spending problem, they have no answer when it becomes obvious that we don’t have a spending problem. That’s why WCNews at Eye on Williamson says we have a lack of spending problem in Texas. Neil at Texas Liberal did not post so much this past week. However, Neil remains at work on a new website to be published this April to be called NeilAquino.com. This website will have a photo essay extolling the intellectual virtues of everyday life , a metaphorical history of existence, some poems and a blog about the 2013 City of Houston elections. For the TPA round-up this week, Neil has submitted a popular Texas Liberal post about the famous Dogs Playing Poker paintings. And here are some more interesting posts from Texas blogs. See creationism opponent Zack Kopplin on the Bill Moyers show, via Creationist Vouchers. I’ll be in Los Angeles soon on vacation. I’d like to make some posts from Los Angeles with the WordPress app on my phone. It has been a few months since I used this app and this post is a test. 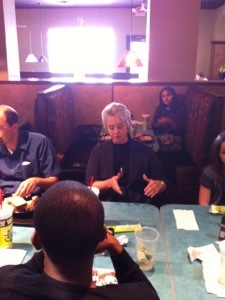 The picture is of Houston Mayor Annise Parker from the monthly blogger lunch today.